GN Healthcare can supply a wide range of patient handling equipment including Hoists, Lifters and Slings form Nordic Rehab. 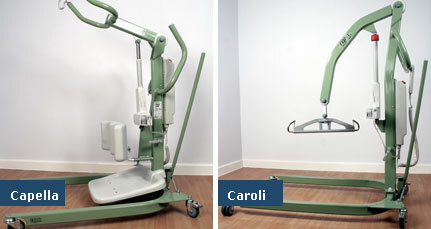 The range includes the Caroli Patient Hoist and the Capella Patient Lifter. Transactive and other Overhead Lifts can be supplied and installed, please enquire for a quotation.